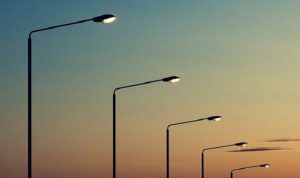 Street lighting away from main roads could to be turned off and power to small and medium-size manufacturers cut as state electricity supplier GECOL struggles to meet increased power demand driven by soaring summer temperatures. These ideas were discussed at a meeting of GECOL managers in Tripoli where consumers were once again urged to reduce their use of all electrical equipment, particularly air-conditioning units and water heaters. GECOL put out a statement saying it wanted to share the reduction in power supplies evenly. But it claimed its problems were compounded by the presence of militias at substations obstructing supplies and by attacks from armed gangs most recently on the power stations at Ruwais and Shikshuk. It blamed some areas such as Khoms and Zawia for resisting rolling power cuts. It admitted that load-shedding, the technical term for power blackouts, differed between the west and east of the country. In the west, power cuts were ranging from between five and eight hours while in the east they were lasting from between one and four hours. If social media is any gauge, public patience with the power company is running out. One Tripoli resident returned today from Benghazi to find he had no power and no water because the local pumps were not working and temperatures were close to 40 Celsius. “I’m melting” he said. Lack of electricity to signal towers has also impacted internet and ordinary mobile telephones. One user in Zawia complained on Facebook that every year for the last six years GECOL had trotted out the same excuses. Zawia he said was clearly not resisting load-shedding since he was experiencing regular blackouts. Another claimed GECOL had lost all credibility and one post accused the management of embezzling funds it had been given to repair and improve infrastructure. Fixing endemic power shortages, along with providing banks with sufficient liquidity was a key promise made by Presidency Council (PC) head Faiez Serraj made when he arrived inTripoli in March 2016. Last July when it was clear that there had been no improvement in electricity supplies, he fired GECOL’S top managers. However, the new team heading the beleaguered utility has not obviously performed any better than its predecessor.